The elixir of the gods, the ever elusive fountain of youth, the nectar of the earth… okay, maybe not that far, but lemon water is highly and widely praised for its alkalizing miracles. At our integrative and alternative medicine center in Puerto Vallarta, we include in our personal and patients’ lives the use of lemon water in the morning to detox and strengthen our immune and nervous systems. Learn 3 more ways your body benefits from alkalizing lemon water below! Sorry if you can never go back to the old garbage you were used to buying for years. The truth is, we all have ingested toxins. From our mother’s breastmilk to the food you eat at the cleanest restaurant in your area – it is simply a part of life. We were actually designed to ingest toxins so our body’s natural systems can be stimulated into developing healthy, resilient, enduring organisms that keep us vibrant and happy. The toxic problem arises when greed, “industrial revolution”, and pollution wreak havoc on our sacred planet’s ground and air. Our food inevitably is infused with toxins and hormones that are beyond our body’s abilities. Eventually, these toxins invite viruses and infirmities that slowly but surely end our life. Lemon water is a godsend in this respects. Whether you believe in a god or not, we can do nothing but agree and acquiesce to these scientifically proven benefits of lemon water. Contrary to popular opinion, lemon juice does not cause gastritis or indigestion! Indigestion is caused by bacteria… lemon actually kills bacteria… how could that cause indigestion?! Fact: The juice of lemons encourages healthy digestion by loosening toxins in your gut. It also helps to relieve symptoms of indigestion such as heartburn, burping and bloating. Lemons contain pectin fiber, which assists in fighting hunger cravings. Have you ever heard of “rebound fat”? That mystery devil of your countless diet and exercise programs is unmasked to be none other than toxins themselves! (Note: toxins can take on the definition of physical or metaphysical) You need to understand that fat has the purpose of protecting your body by encapsulating bodily toxins and preventing them from harming your vital organs. The less fat you have, the more your need to get rid of toxins! If you gain weight by just looking at a hamburger, you might be in serious need of detoxing your system from all the toxins stored in your bodily fat. 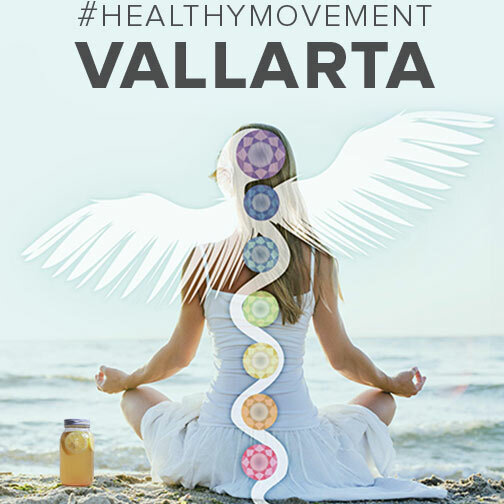 Our natural detoxing & colon cleanse solutions in Puerto Vallarta can do just the trick! Promotes healthy and clear skin. The antioxidants in lemon juice help not only decrease blemishes, wrinkles decrease too. It can also help to reduce scars and aging spots. Not only does it detoxify your blood (allowing your skin to look more nourished and hydrated), it also keeps your skin radiant! When your body is clean, rested, nourished, and balanced, you will function optimally. Lemon water helps your body remove what stresses it, and refreshes every system of your body to maintain your energy levels and health. At the Holistic Bio Spa, we are a team of medical professionals experienced in helping people from the United States, Canada, Europe, South America, and Cental America to heal on their own terms and well-being. The Holistic Bio Spa team of medical professionals.